The following tips have been derived from the successful experiences of several webmasters who used the alexa website online. The effectiveness of these tips is highly dependent on the consistency of your action and some are to be used with caution. However, it is highly advised that you should improve the quality of your content, which will in turn automatically attract traffic. It is a better but slightly more demanding way, to improve Alexa rank. You should dedicate most of your effort into mounting your site audience alongside incorporated implementation of any of the following tips. 1. The most important step is Installation of the Alexa toolbar or Firefox’s Search Status extension and setting your blog as your homepage. 2. Persuade others to use the Alexa toolbar. This comprises of friends, fellow webmasters, as well as site visitors/blog readers. Be sure to link to Alexa’s full explanation of their toolbar and tracking system,so your readers will know what installing the toolbar or extension necessitates and it's benefits. 3. If you are working in an Office or own a company, get the Alexa toolbar or Firefox extension installed on all computers and set your website as the homepage for all browsers. Perhaps it will be useful to note that this may work only when dynamic or different IPs are used. 4. Ask your friends to review and rate your Alexa website profile. It can also help in some way in improving your ranking. 5. Write or Blog about Alexa. Webmaster and bloggers love to hear about ways to increase their Alexa rank. They(alexa.com)’ll link to you and send you targeted traffic (i.e. visitors with the toolbar already installed). 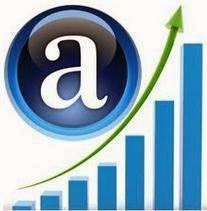 This gradually has positive effects on your Alexa ranking and even traffic. 6. Create an Alexa rank widget on your website. By doing this you can possibly receive a fair amount of clicks every day. Each click tot ups as a visit even if the toolbar is not used by the visitor. 7. Exhibit your URL in webmaster forums. Some Webmasters usually have the toolbar installed. On Forums,If you use your site as a signature, You’ll get webmasters to visit your website and offer useful feedback. It’s also a good way to give back to the community,if you have useful articles to share with others. 8. Inscribe content that is associated to webmasters. This can fall in the category of domain, Hosting and SEO, fields in which most webmasters will have the Alexa toolbar installed. 9.Promote your content on social networking websites and webmaster forums. 10. Use MySpace. This is a little shady so it is not recommended unless you’re really interested in artificially pumping up your Alexa Rank. Use visually attractive pictures or banners and link them to your redirected Alexa URL. This will be most effective if your website has content that is actually relevant to the MySpace Crowd.